As a mom of four, finding just the right diaper bag to fit my needs can be tough. Bags are either too big, too small or are difficult to organize. 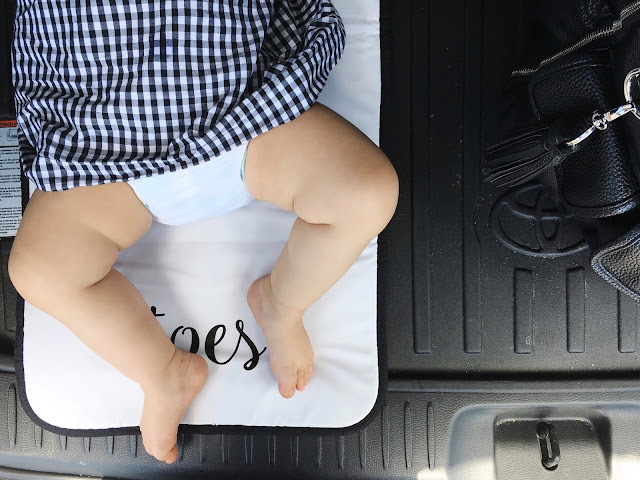 A few weeks ago, Itzy Ritzy was so kind to send me one of their newly launched Boss Diaper Bags. I am here to tell you that this bag has gone above and beyond my expectations! I am going to lay it all out for you. I am loving everything about this mixed material black herringbone and leather. It's simple, modern and something my husband doesn't mind carrying around. Not to mention it wipes down with ease. This is especially important when toting around all of those cups, bottles and snacks that come with leaving the house with four kids. There are bound to be some spills! 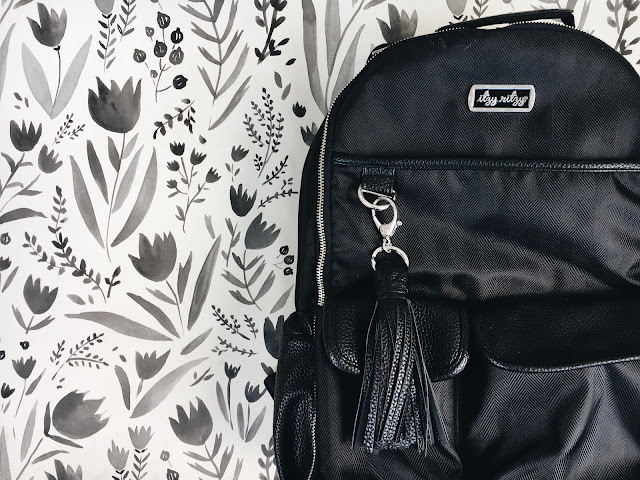 The exterior boasts seven pockets for all of your quick storage needs and the addition of a tassle clip that I love to hang my keys on when I am on-the-go. Not a fan of all black? The Boss Diaper Bag Backpack also comes in a gorgeous Posy Pop and Coffee & Cream! 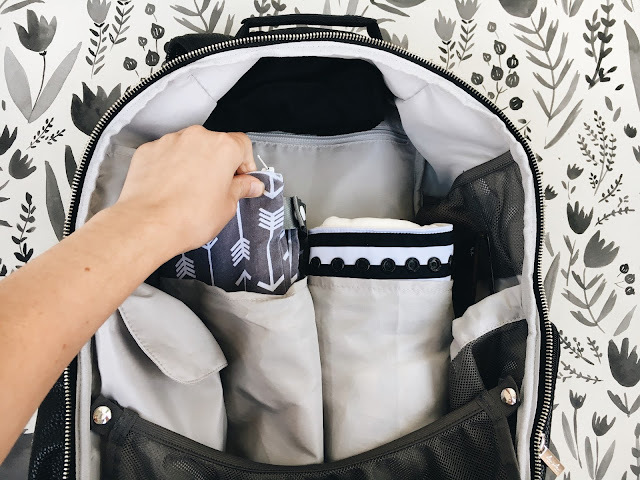 What's a diaper bag without a change pad? This adorable change pad is included with every bag. Yes, I did just call a change pad adorable. Seriously, look how cute this is! Okay, so the fresh baby toes might have something to do with it but the appliqué of "head" on the top and "toes" on the bottom was such a cute addition to this piece. When it comes to carrying a diaper bag, versatility it is a must in my book and the Boss Bag has got it. No one likes a bag that is constantly sliding off of your shoulder. This is my first backpack diaper bag and I don't think I will ever go back! I love that the Boss Diaper Bag can be worn as a backpack or hung on the stroller for easy access with the included stroller clips. 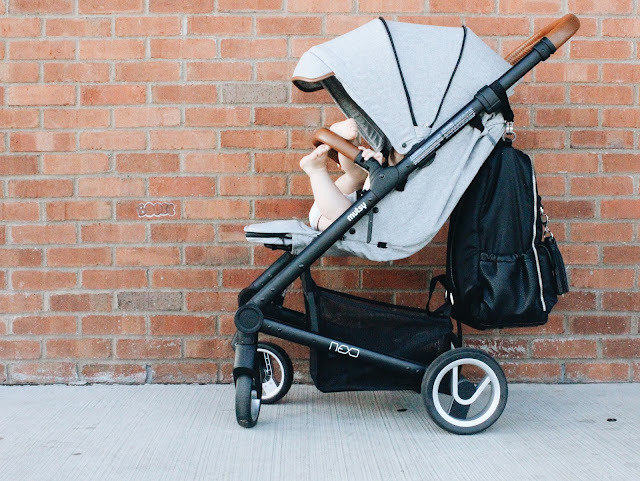 Of course, it can also be stored beneath the stroller as well but then how are you going to show off your amazing new bag?! So, have I convinced you yet that you NEED one of these bags?! You can shop this amazing bag here, here and (my favorite) here!